Commonly referred to as tennis elbow, lateral epicondylitis can occur in many different sports, including tennis. Understanding how lateral epicondylitis occurs, ways for preventing this injury, as well as how to treat it can greatly reduce your time lost from sports, and keep you healthy and off the sidelines. It is a common term that refers to an overuse type of injury to the elbow. It is better described as lateral epicondylitis. The lateral epicondyle of the humerus is the prominent bone towards the outside of the arm at the elbow. This boney prominence is the site of attachment for the forearm extensors. These muscles help to produce wrist extension, as well as being able to turn your hand into supination. The extensor muscles attach through a common tendon onto the lateral epicondyle. Epicondylitis refers to an inflammation of the epicondyle, and the surrounding soft tissues. Tennis elbow is generally caused by overuse of the extensor muscles. This can occur with many different sports activities, as well as with activities of daily living. Anything that requires wrist extension or forearm supination. The back hand stroke in tennis is very commonly associated with tennis elbow. It can also be seen with golfers, baseball players, as well as with those who perform repetitive motions with work activities. Tennis elbow often begins as a pain or discomfort on the outside of the elbow, occuring primarily after activities. This soreness may last for several hours, but resolves rather quickly. As you continue the aggravating activities, the pain increases, beginning to occur during your athletic activities. Eventually, you may begin to experience pain with daily activities such as turning a door knob, gripping, or holding a glass. Swelling is not common with lateral epicondylitis, however, you may have pain that radiates through the muscles of the forearm, and you may experience some muscle spasm, or knotting of the muscles as well. Treating tennis elbow successfully centers around several different factors. The first and most important one being rest. 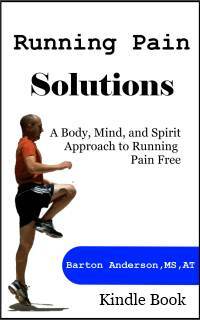 It is necessary to decrease the activities that cause your pain. As with most overuse injuries, your body gets stuck in a chronic inflmmatory cycle. The tissues are irritated and inflammed, leading to pain and discomfort. If the stress that causes the irritation is removed, the body can begin to heal and resolve the inflammation. Ice is another essential component of treating tennis elbow. Application of an ice pack or ice massage several times a day, especially after activity, or actively using your elbow can help to reduce the inflammation in the area, as well as decrease soreness. An ice pack wrap is an excellent way to treat tennis elbow, and offers the flexibility of both compression and ice at the same time. Stretching of the forearm muscles can also help to reduce stress on the lateral epicondyle. Proper stretching of both the forearm extensors and flexors, done several times a day can help reduce your pain. In addition to rest, ice, and stretching, there are braces that can be worn to help reduce the stress on the lateral epicondyle during athletic activities. These braces are simply compression straps that are worn around the arm, usually just below the elbow. They help to distribute the stress from activity throughout the forearm muscles, rather than isolating the pull on just the epicondyle. 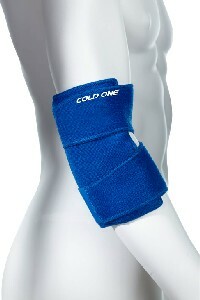 Talk with your certified athletic trainer or family physician for more information regarding an elbow strap. The keys to preventing most injuries centers around a gradual increase in activities, proper warm up and stretching, proper mechanics, and having adequate strength and balance. Prevention of lateral-epicondylitis is no different. Gradually increasing activities is essential to prevent overuse injuries. Look at any organized sport...every professional organization, college or high school team has a preseason which they use to get into shape, work out the bugs, and get ready for the year. Your activity should be no different. If your goal is to be able to play tennis for 3 hours at a time, 4 days a week, start off slow. Begin with 1-2 hours of light hitting 2-3 times a week, and then gradually increase your activity levels over 2-3 weeks. Your body will thank you. Warm up before activity helps the body in several ways. Your muscles rely on oxygen in order to perform. This is delivered by blood flow to the area. A good warm up, one in which you break a sweat, helps to increase blood flow to the extremities, and warm up the muscles. Stretching prior to activity is also important. After a proper warm up, stretch the major muscle groups, and any areas that are of concern. Muscles that are stretched out are ready to work, and will produce more power and function better than cold, tight muscles. I can't say enough about warming up and stretching for preventing injuries. Maintaining proper strength is another component of tennis elbow prevention. Because this injury primarily involves the wrist extensors, some type of forearm exercise may be beneficial for improving your strength. As strength improves, you are less likely to overload the muscles. Talk with your certified athletic trainer or family physician regarding proper strengthening exercises for these muscles. Tennis elbow, or lateral epicondylitis, can be a frustrating injury, found with many different sports. Understanding the signs of lateral epicondylitis, ways to treat this injury, and proper prevention techniques can help to keep you off the sidelines.